I must apologize for the lack of a Music Video Monday! yesterday. I was an irresponsible blogger. I was out of town for a big work meeting, running on less than four hours of sleep. None of this is meant to be an excuse, as I know our love of music and movies must come first. But I at least wanted to provide an explanation for neglecting my blog duties! Now, on to the music. 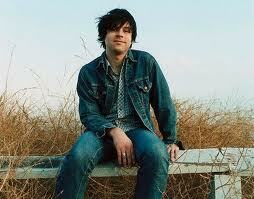 If you're a regular reader of this fine blog, then you know that several of us are pretty serious fans of Ryan Adams. To honor the fact that I will FINALLY get to see him live soon (a big event for me), I wanted to post one of his videos. It wasn't hard to decide which song to post. The talented Mr. Adams has made many albums, but not so many videos. In fact, I could only find official vids for two songs. To say he's low-key may be the understatement of the century. Ryan is a songwriter's songwriter. He writes music because he loves music. I don't think he places too much emphasis on much else. But I was very happy to find that of the two available, one video was for one of my favorites of his - Answering Bell. From the 2001 album Gold, this track features vocals by Adam Duritz of Counting Crows. Adam joins Ryan in the video as well. There is also a pretty random appearance by Sir Elton John. I hope you enjoy this track and, if you do, I hope you'll get to know Ryan and his full music catalogue. You will not regret it. He is one of the most prolific songwriters of our time, and his talent doesn't stop there. In fact, this is the man who covered one of the best Oasis tracks and managed to do it BETTER than the original band. This was even acknowledged by Oasis. You can check out Ryan's haunting version of Wonderwall here. Happy Tuesday, everyone! Great songs, Tiff! A magical Elton John, why not? I still laugh whenever I think about that epic comment someone left on Adams' Facebook page. Ryan Adams does sound like Elton John on that song! I did know of and love Wonderwall(found it on Butch Vigs music you should hear list on amazon), but I haven't tried Ryan Adams older albums yet. On Ashes and Fire (2011) Ryan's voice is kind of a throwback to Neil Young of the 70s, Invisible Riverside, Lucky Now, Come Home , are my fav tracks from his latest LP.